Okay, maybe these aren’t all “secrets”. After all, I’m not breaking anyone’s trust by telling you. But they’re Amazon prime benefits, products, and services you might not be aware of. Those little details and information that you wish were all compiled in one easy guide. Like the one below. (haha). Paying for that prime membership doesn’t just mean free 2-day shipping. Though that’s why I signed up. Then I dipped my toe into prime video. Then I started discovering all the other prime benefits. 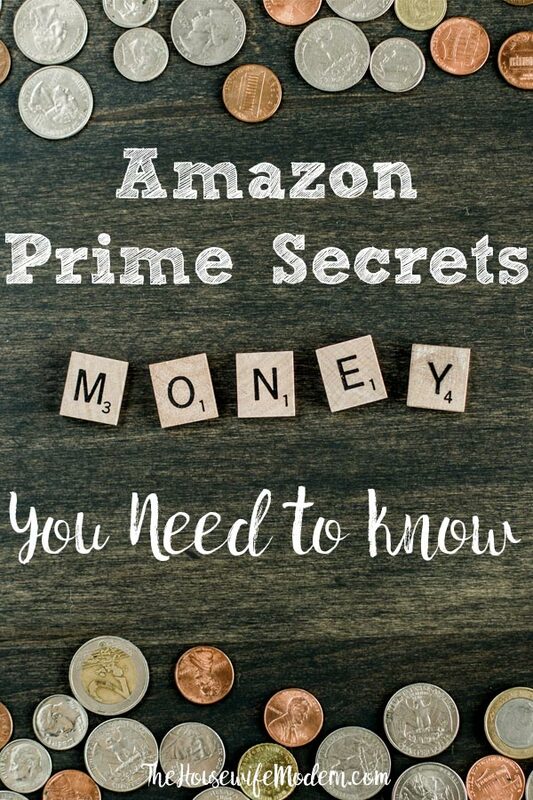 Here are more than 40 Amazon prime secrets that you might not be aware of! Enjoy. Be sure to comment and let me know which is your favorite. First, you need to be an Amazon Prime member to take advantage of all the offers below. Secret: There’s a 30-day free trial. Secret: You can pay monthly instead of annually if you don’t want to pay the full amount up front. It comes out to a little more end the end (I pay annually), but gives you a chance to try it without a big investment. Secret: Are you a student? If so, click HERE. You’ll get a six-month free trial…and after that, it’s only 6.49/month. Secret: Do you have an EBT card or are on Medicaid? If so, click HERE. 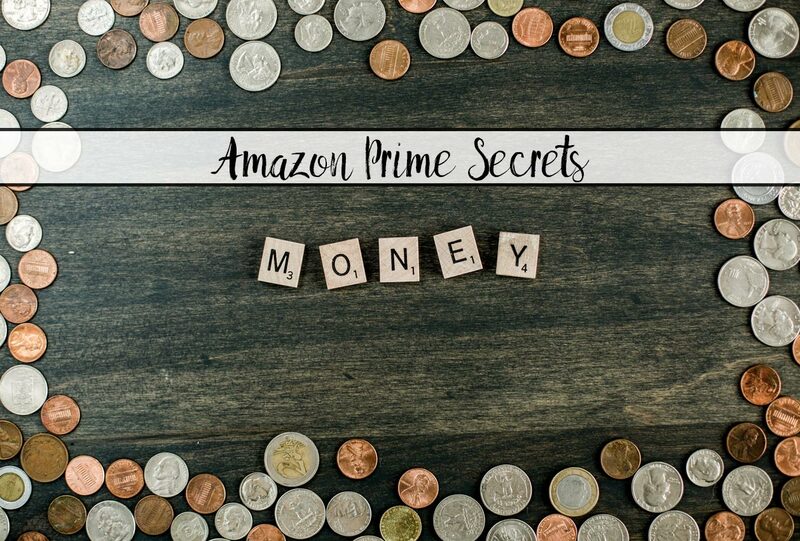 If you qualify (you’ll have to submit some documentation showing you qualify), you can get prime for just $5.99/month. We all know Prime Video exists. That’s not a secret. Half of the time when I’m writing a post some TV series (such as the Vampire Diaries…shhh…don’t tell people I watch that) or movie from prime is streaming in the background. But there a few things about prime video you might not know. Secret: You can subscribe to channels. <<<Click there. Most come with a free 7-day trial, and then are billed monthly. But you can only subscribe if you’re a prime member. Want to marathon watch all of the Game of Thrones shows (or Westworld)? No problem! Subscribe to the HBO channel for a month or two. Cancel whenever you want. Have you been dying to see all of the Classic Doctor Who shows? Subscribe to Britbox. Looking for new fitness videos and don’t want to spend hundreds on a special program? Try Amazon BeFit channel. The kids love Looney Tunes? Or you’re in the mood to nostalgia-watch some Scooby Doo? Try Boomerang. I could go on and on about the History Channel Vault, PBS Kids, and more…but you get the idea. Secret: You can rent movies. Yep, no more returning those DVD to the redbox or having to buy movies. Have a movie night and just rent want to want to watch! I was surprised to hear of prime music. Despite that being a Amazon prime secret I hadn’t heard of, I didn’t count that as one of them. Even if you have heard of prime music, here are a few secrets you might not know of. Secret: There are entire prime music playlists you can play. There are two million songs included with Prime music. Just go to Prime Music, and under “Browse,” choose the “Home” option. Scroll down to see popular Prime channels as well as pre-selected playlists. You can also make your own playlists! All for free. Secret: Have you heard of Music Unlimited? You can get a 30-day free trial. Absolutely any song, any time, on any of your devices. Secret: Music Unlimited has multiple plans- there are individual plan, family plan, single device plan (which is cheaper), and student plan (which is cheaper). When you click on the link “music unlimited above”, hover over the menu bar where is says “Amazon Music Unlimited” to see the other plans pop up. If you’re only going to play on one device, make sure you save a few dollars. 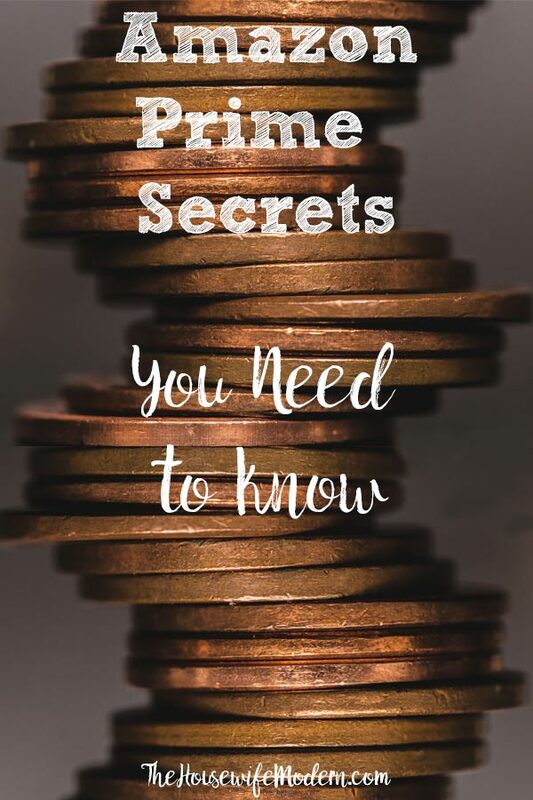 Secret: Prime Reading! Free reading! The books are constantly changing, but there are millions of books available. You have to download the Kindle App, but you can get it for free for PC, Mac, iPad, Android, and more. Secret: Free book each month. There is something called “Amazon First Reads” in which you get a sneak peak at new books. Pick one per month to read for free. Secret: You can get free audible audiobooks. Secret: Prime magazine reading includes some magazines. Yep, seriously. Bon Appetit, Country Living, Vogue, Cosmo, and more are all available with your prime membership. Secret: If you want to pay a subscription, you can get Kindle Unlimited. Even more books, magazines, and AUDIO BOOKS! Yep, listen to great audio books as part of your subscription. As with almost everything Amazon, there is a 30-day free trial so you can try it out for FREE! Secret: Kindle Newsstand. Subscribe to popular magazines for as little at .99 a year. Get your Newsweek (or other favorite magazines) delivered digitally for cheaper to your Kindle app (remember, you can get the Kindle app for free for a wide variety of devices). I’m sure you’ve heard of Prime Pantry. That’s not the secret. Secret: Prime Pantry has a value store where the stuff is guaranteed to be cheap! Secret: Prime Pantry also has its out special coupons. Check out the Pantry Coupons. Secret: I can’t promise how long this will continue…but right now there is a buy 5, save $6 deal going on. Secret: Subscribe and Save. Did you know that a ton of products you can get for 5% off if you just subscribe to them? And if you subscribe to five or more items, you can get 15% off. Yep, seriously. We get our laundry detergent, husband’s bike amino drink stuff, cat litter, and more delivered automatically. And pocket that 15% savings. Secret: 20% off diapers, baby food and more with Amazon Family. I don’t have a kid yet…but when I do, I’m getting 20% off diapers that show up automatically at the door! What’s not to like about that?! Secret: Get a free welcome box or other gift with Baby Registry! When you register…To help you prepare for your little arrival, your Amazon Baby Registry includes a completion discount on select items in the baby, beauty, grocery, drugstore, and toys departments. The discount is 15% for Amazon Prime members compliments of Amazon Family. Secret: Wedding Registry. Get 20% off a purchase of up to $1,000 when guests buy enough from your wedding registry. See HERE for details. Secret: Amazon Visa Card. Get $70 free when you sign-up and cash back for purchases. Secret: Did you know that Amazon has coupons? Check them out: “Amazon Coupons.” Just digitally clip them and they’re applied at check-out. There are also special Grocery Coupons. Secret: Amazon has a Bargain Bin. Like most bargain bins, it’s an eclectic mix of items…but you can check it out. Secret: If you don’t mind buying pre-owned, Amazon has “Amazon Warehouse.” Cheap prices on quality used products. Secret: Amazon has a bulk food store. Check out deals comparable to those you get at those huge warehouse stores. Secret: Unlimited, FREE photo storage. Create photo albums that groups can view and contribute to, store up to 5GB video, and unlimited photos! Secret: Amazon Drive. Cloud storage. Store up to a certain amount for free on Amazon drive. Subscriptions available if you need more data. Secret: If you own a business, there is “Amazon Business“. Exclusive pricing, bulk discounts, pallet shipping (if you desire), and it integrates with over 30 different business purchasing systems. Yep, you read that right. Link your existing purchasing system to Amazon. Secret: Twitch Prime is free. Free games. I don’t have twitch, but might get it…tons of free games. Wait, I spend enough time on games already! haha. Secret: You can buy/rent software in the Subscription Software. Get anti-virus and other software either for purchase for monthly/yearly rental. Secret: Have a kid? Have a Fire Tablet for kids? Then get FreeTime Unlimited! A world of content for the kids to explore, and you know it’s all kid-friendly. 30-day free trial to try it out. I purchase it for my niece and she loves it. Secret: If you have an Android, there are free games. Since I’m an Mac-girl all the way, I haven’t tried out this feature. Secret: If you live in certain locations, you can get Amazon Fresh! Fresh food delivered right to your door. I don’t live in one of those lucky locations, so I can’t comment on it. Secret: Have something you need done around the house? Try home services! Cleaning, furniture assembly, wall-mounting of electronics, home theater set-up, and more. Special savings for the first time to try various services. Try code “TIDY25x2” to get $50 off your first-house cleaning. Secret: Get $10 the first time you try in-car delivery (I don’t know how long this will be available, but it’s available right now!). Secret: For college students, Amazon has textbook rental. If you click on that link, there is also sometimes a coupon for so much off new-textbook purchases. (It depends on the time of year). Secret: Want to try on your clothes before you buy them? Try Prime Wardrobe. How it works: fill your box, you have seven days to try the stuff on at home, return what you don’t want, keep what you do. You’re only charged for what you keep. Secret: If you want to support small businesses, including minority-owned or women-owned, check out Amazon Storefront. Support small businesses with all the convenience of Amazon. 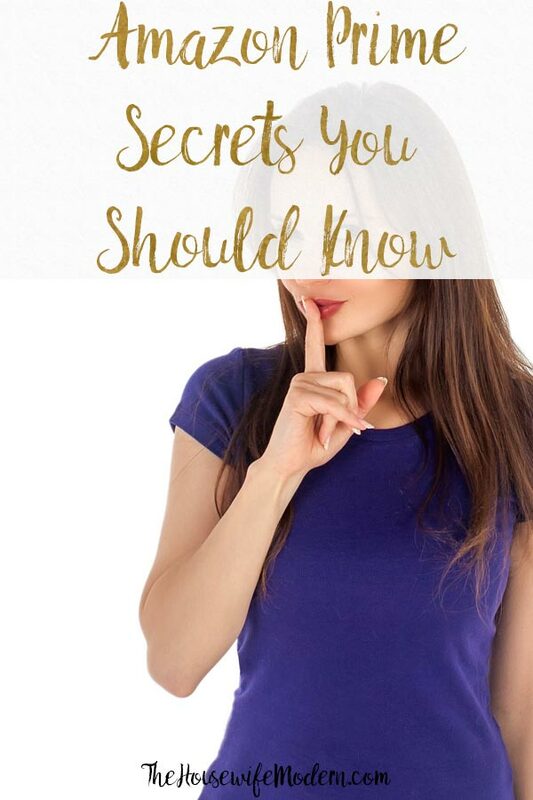 Secret: Want hand-made gifts or unique items? 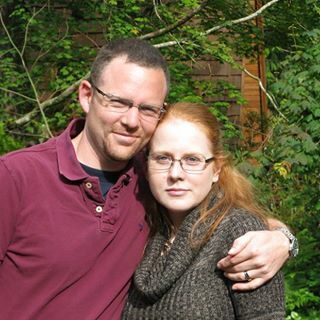 Check out Amazon Handmade. Secret: Tablet trade-in. Want to upgrade your tablet? How about trading it in and getting a gift card for the trade-in value plus 25% off. Secret: Amazon Trade-in. See your previous purchases and their trade-in value. Also search other items to see if there is a trade-in value for them, including electronics, textbooks, and more. Secret: Get a reminder about upcoming birthdays and anniversaries. Go to “Gifts” and scroll down…there should be an option to add an occasion reminder. Am I missing any great Amazon Prime secrets? Or any Amazon Prime coupons? Comment and let me know so I can get them added! Thanks.